“The Latino List,” an exhibition of 31 large-scale portraits of notable members of the Latino community by famed photographer Timothy Greenfield-Sanders, opened October 6 at the San Antonio Museum of Art in Texas and will be on view through December 31. Comedian John Leguizamo, actress America Ferrara, former U.S. Secretary of Housing and Urban Development Henry Cisneros, golfer Chi-Chi Rodriguez, and rapper Pitbull are among the subjects Timothy chose to photograph for the series, which spans entertainers, writers, politicians, athletes, and scholars. “There’s not one of us in the room who hasn’t been affected by someone in this series,” William Keyse Rudolph, chief curator and American art curator for the museum, told San Antonio magazine in a feature on the exhibition. “It’s a delicate balance of professionals, a balance of men and women and of nationalities,” Timothy told the magazine. 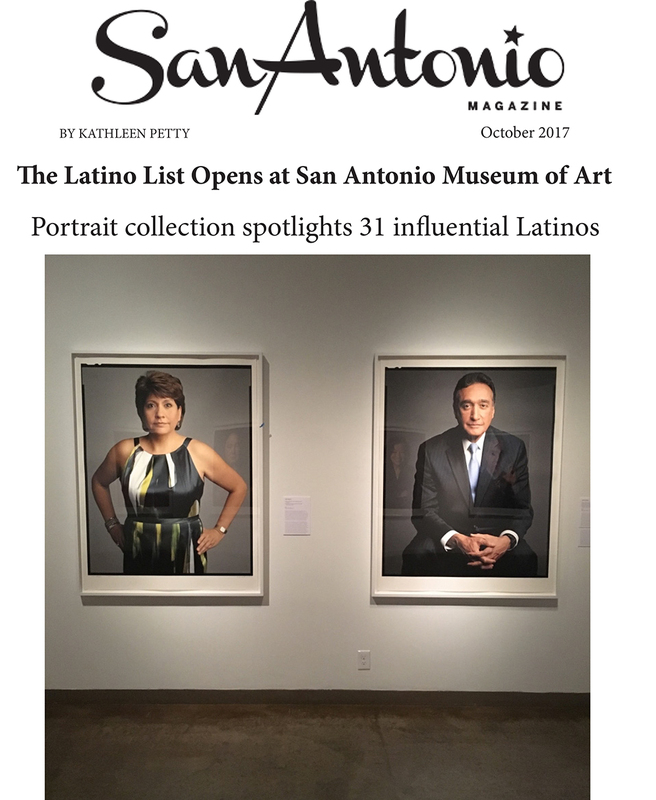 Learn more about the San Antonio Museum of Art’s exhibition of “The Latino List” here. View the complete set of portraits here. This entry was written by kfeliciano and posted on 10/18/2017 at 7:15 am and filed under news & commentary with tags The Latino List, Timothy Greenfield-Sanders. Bookmark the permalink. Follow any comments here with the RSS feed for this post. Post a comment or leave a trackback: Trackback URL.